Diaphonique is supported by the Sacem, British Council, the French Ministry of Culture, Institut français, Institut français du Royaume-Uni, Le Bureau Export and Fondation Francis et Mica Salabert. The partners are in charge of devising the fund’s overall strategy and guidelines. 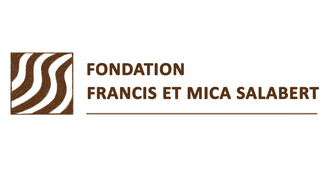 Diaphonique is thankful to the Friends of the French Institute Trust for its efforts in helping us raise the vital funds needed to sustain and develop our scheme. The Trust plays a leading role in the development of our fundraising programme. We are very thankful to all our private donors, past and present, whose support help make the funds’ achievements possible. Diaphonique would like to acknowledge the particularly generous contributions of Mrs Aline Foriel-Destezet in 2016, 2017 and 2018. For several years, her commitment and her loyalty have enabled Diaphonique to select cutting-edge projects.